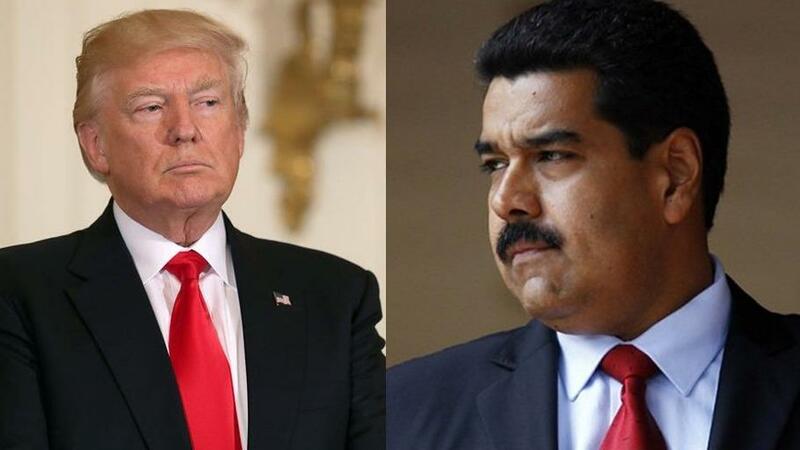 CARACAS, Jan. 30 (Xinhua) -- Venezuelan President Nicolas Maduro on Tuesday criticized the U.S. government as "childish" in conducting its foreign policy after U.S. National Security Adviser John Bolton's notepad with words "5000 troops to Colombia" evoked concerns. The White House has repeatedly said "all options are on the table," hinting at a military option against Venezuela with the aid of Colombia, which is a U.S. ally and neighbors Venezuela. The U.S. sanctions announced Monday aim to block the Venezuelan government's access to 7 billion U.S. dollars belonging to the PDVSA, which the U.S. Treasury described as "a primary source of Venezuela's income and foreign currency," and could lead to losses of up to 11 billion dollars over the next year. Maduro was reelected in the May presidential elections with 67.84 percent of the vote, and was sworn in as president on Jan. 10 for another six-year term. Alleging that the Maduro administration is illegitimate, Juan Guaido, head of the Venezuelan National Assembly, declared himself interim president during an anti-government rally on Jan. 23. The United States, Brazil and some other countries have recognized Guaido's presidency, with U.S. President Donald Trump warning that "all options are on the table." Maduro, in response, cut diplomatic and political ties with the United States.